Here we go again, another game so we quickly put Southend behind us, in fact the run and form for 2018 on a whole as Pompey look to ‘go again,’ again! In all fairness, as disappointing as this run has been, along with the weekend defeat, if you had said to me we would be in the position we are now back in May I would have taken it – for me a top-10 finish and stability to build and move forward in League One next season would be a successful one. A little more consistency as opposed to being consistently inconsistent would have been preferred mind. So, as for this game, well, the fact this is away from Fratton Park should mean a point would represent a good return from Fleetwood. 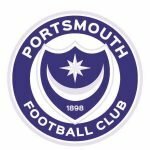 However, this is Pompey we’re talking about, we don’t deal in points as we either win or lose! Do I think we’ll go to Highbury and win? God knows, you cannot, as said, tell with us this season. Head says a defeat, sorry to say, but heart, as always, feels a win. I do know I’m basically discounting a draw… what the hell a Blues win.